The NemaTop Vine Weevil Trap contains 2.5 million insect-pathogenic nematodes (Steinernema carpocapsae) to control adult black vine weevils. The nematodes are imbeddded in a gel formulation which is pressed into the grooves of the specially designed, wooden board. Black vine weevils are nocturnal insects, hiding during the day. This behaviour is used to provide a unique, biological control. The specially designed boards are placed face down, directly onto the ground beneath your plants, where the adult beetles crawl. Adult vine weevils hide under the board where the microscopic nematodes penetrate the weevil, which soon stops feeding and dies out of sight. 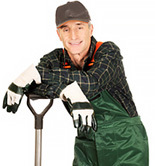 Treats an area of up to 10m² or 5m of hedging. Each trap lasts for approx. 6 weeks. Just select the week you require the trap and add to your basket. Your order will be dispatched. Remove the NemaTop trap from the packaging. If the gel falls away from the grooves, gently spray it lightly with water until the gel swells and fits into the grooves again. Open Soil: Lay the trap on the soil with the gel containing grooves face down near vunerable plants. If the soil is very dry, please water it before use. If possible, lay the NemaTop in the shade under the plants. Keep the board moist (rain or casual watering of the plants are sufficient for this purpose). Potted plants: If the container is big enough, the NemaTop should be placed on top of the soil surface. Do not use chemical insecticides during the use of biological controls.After use of the NemaTop, it can be disposed of just like any waste wood. Can be used from the beginning of May until the end of September. The nematodes are the most effecting between 12°C and 30°C soil temperature. 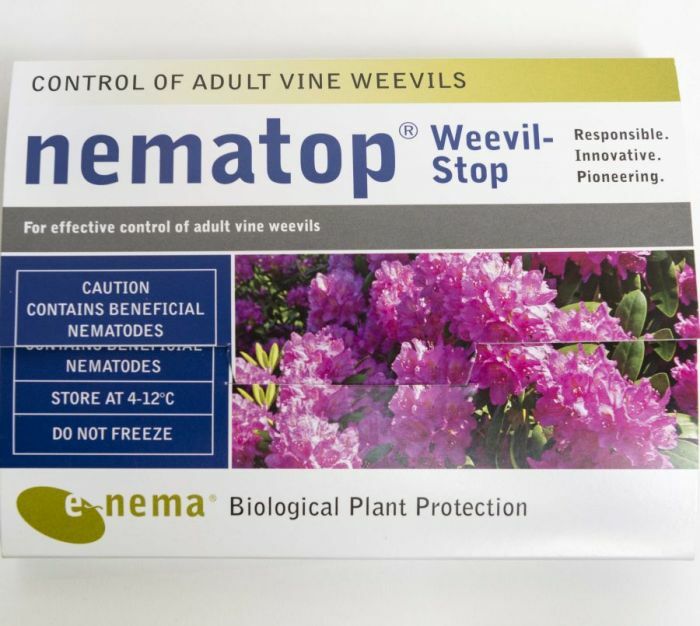 NemaTop is a perfect partner to nematode for the control of vine weevil larvae. Treats an area of up to 10m² or 4m of hedging. Each trap lasts for approx. 6 weeks.